Yes! 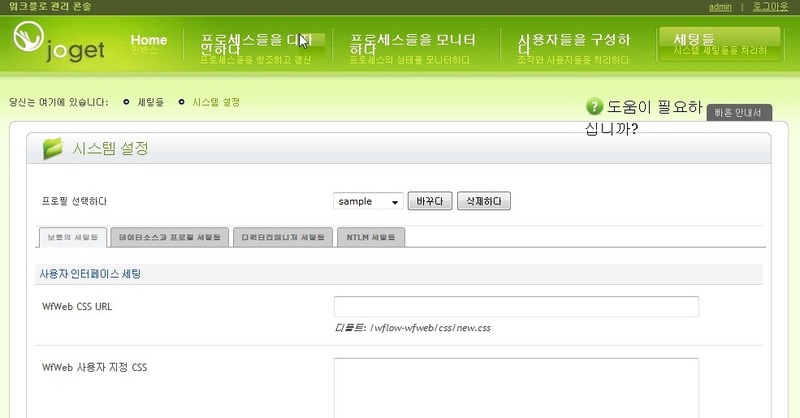 Joget Workflow speaks Korean, and quite fluently to date, and we're saying so because we've already achieved 99% completion of the language translation by community effort at translate.joget.org. Here is the introduction to Joget Workflow in Korean language (오픈 소스 워크플로우 애플리케이션 빌더 - 도입부). Of course, there are many other language translations being actively worked out by our ever-growing community of translators. Indonesian, Spanish and Thai are among the more popular ones. Let's look at Hangeul 한글 in action and what Joget Workflow looks like in the Korean native alphabet. Do you know that apart from the usual LTR languages, Joget Workflow is packed with RTL language (such as Arabic) support as well? And switching to RTL mode can be done easily in the management console, as shown below. It has been 17 months since the first public release of Joget Workflow (back in Oct 2009), started with just 19 downloads recorded in the first month. Today, with the support from worldwide adopters, we are grateful to be listed by Momentum Index as one of the top 96 open source software companies. This reflects a strong early proof of traction for Joget Workflow. 15 hours ago, we were on live telly, interviewed by TWiT's FLOOS Weekly. You can listen or watch the podcast here. The session was hosted by Randal Schwartz and Aaron Newcomb. Our CEO in the Valley - Michael Yap, was taking lead responding to the interview questions, and I was more of a backbencher haha. 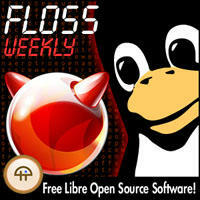 Even though this is not the first time for us to be interviewed on Joget Workflow project, but we have been very much looking forward to this, as the FLOSS Weekly program objective and audiences fit perfectly into the model of our software -- free, libre, open source! Not just sleek and cool looking Web 2.0 UI; the navigation design is also further improved in Joget Workflow v2 to enhance user experience. Well-organized drop-down menu, breadcrumb navigation, form browsing by category, and process thumbnail image are some of the usability enhancements introduced in Joget Workflow v2. Open source software doesn't have to look unappealing. Ever wish for the processes you deploy in Joget Workflow to have a front-end web application system? A leave application system for the leave application process, a travel management system for the flight reservation process and staff recruitment system for the recruitment process. What are the advantages of Joget Workflow?How do you compare Joget Workflow to competitors like X, Y and Z? I'm pretty sure there are many people Googling for such information too, so I might as well publish my thoughts here. Being an open source model, software is not the only deliverable of Joget Workflow. In fact, the source code is also one of the deliverables. So, comparing to closed-source products, the source codes in Joget Workflow can be seen and examined by anyone, including the software engineering experts. This encourages the software engineers contributing to Joget Workflow to produce higher quality source codes.